When automakers and tuners join forces, the results are usually mouthwatering. Ask any gearhead to name a famous circuit and you’ll likely hear the word “Nurburgring.” However, a slightly less famous but just as impressive course lies less than 750 miles away. This would be the Isle of Man, and while it technically isn’t a racetrack, it might as well be due to the island’s lack of speed limits and famous races that take place on the 37-mile road that wraps around it. The main attraction is the Isle Of Man TT, a motorcycle and rally race that doubles as the most dangerous sporting event ever. In the event’s 106-year history, 240 people have died, meaning more than two people die per annual event. So how does Subaru plan on surviving the race while simultaneously beating the world record time for lapping around it? 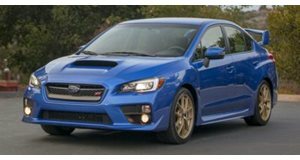 By partnering with longtime Subaru partner Prodrive to develop a special Subaru WRX STI. The previous record is held by a lightly modified US spec WRX STI, which lapped the course in 19 minutes and 15 seconds. The Subaru and Prodrive duo is aiming to make the 37-mile run in less than 19 minutes this time. If a fairly stock WRX STI could pull off a world record before, than a well-tuned Subie should be able to beat that. Photos by James Gibson.